Latest Govt jobs in Assam State for Assistant Engineer posts under Government of Assam. Assam Public Service Commission Recruitment department invitations for all Indian fresher candidates to apply for these Govt jobs for Assistant engineer posts. 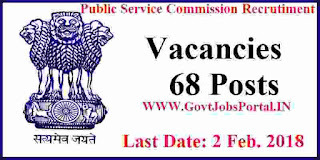 There are total 65 vacant positions of Assistant engineers under civil trade which are going to be filled up through this Public Service Commission Recruitment 2019. The procedure for applying these Government jobs in Assam state is offline and the process accepting the application will remain activate up to 2nd Feb. 2019. We took this information from the official website whose link is as follow: “http://www.apsc.nic.in/”. Inside this website we found the official link/ Advertisement Link which contains the full information related to this Assam Public Service Commission recruitment 2019. We shared the Advertisement Link under IMPORTANT LINK section at the last of this article. So applicants who are looking for the engineering jobs in India have to apply online before this date. More information related to these Govt jobs in Assam state is given below in this article. 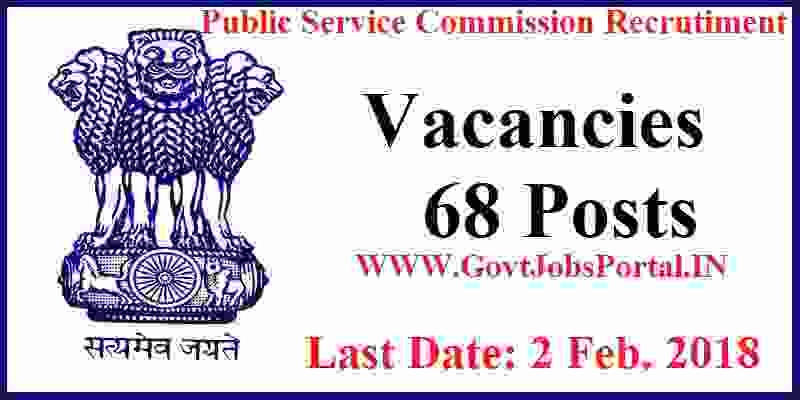 So read the whole article carefully before applying online for this Public Service commission recruitment 2019. Vacancies to be Filled: 65 Posts. Pay Band: Rs.30,000 – Rs.1,10,000 + GP Rs.12,700 per month. Education: All Indian fresher candidates who have successfully completed their Graduation under Civil Engineering Stream can apply for this Public Service commission Recruitment 2019. That means those who have completed BE/B.Tech in Civil Trade can apply. Those who lies in between this age criteria can apply for these Govt jobs for Assistant engineer posts. (i) By 5 years for SC/ST candidates i.e up to 43 years. (ii) By 3 years for OBC/MOBC candidates i.e up to 41 years as per Govt. Notification No. ABP. 6/2016/9 dated Dispur the 25th April 2018. The age limit of the applicants will be calculated on the basis of the Matriculation /HSLC Admit Card/ Certificate issued by a recognized Board/Council and no other document shall be accepted in lieu of the mentioned documents. Paying Method: Pay the Examination Fee through Treasury Challan in the Head of Account “Non-Tax Revenue, Other Non-Tax Revenue 0051 PSC, 105 State Psc Application Fee Receipt of APSC”. a. The name of the post applied for should be clearly written in “bold letters” in the Envelope containing the application form and it should be addressed to the Deputy Secretary, APSC, Jawaharnagar, Khanapara, Guwahati, Pin Code-781022. b. Application form may be obtained by downloading from the APSC’s website www.apsc.nic.in ( Application form DR). We also share the offline application Form Link under IMPORTANT LINK Section. 21ST Dec. 2018 is the Start Date to apply. 2nd Feb. 2019 is the Last DATE TO APPLY.